The meaning of trees and their significance derives from its properties and attributes with the ability to share these with the people. The meaning of trees and their attributes are extremely important to the Native Americans as trees provide highly valued resources. The meaning of trees and their properties provide healing medicines, and provide materials to build homes. The meaning of trees in general is of a symbol of permanence, longevity and its firm base symbolises the concept of ‘roots’ and the ongoing relationship of trees with their natural surroundings. Such positive characteristics, properties and attributes of trees lend themselves to being revered. 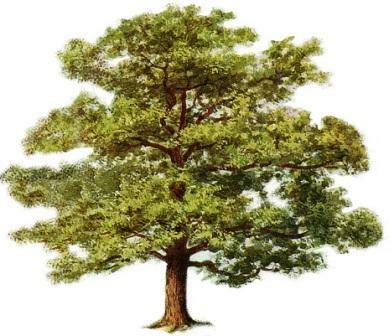 The following Meaning of Trees list provides details of the significance of each tree together with its meanings and symbolism. Many Native American Indian tribes believe that the qualities and properties of trees brings specific medicine and carry a sacred spark of the Great Spirit. The wood from trees is used to create many sacred items including Talking Sticks and Prayer Sticks. The choice of trees, their meaning and the wood used to make these sacred objects was highly symbolic and their meaning and relevance was significant to the craftsman. Each type of stick was prepared with due respect and ceremony. The wood was carefully chosen for its strength and spirituality and taken from a tree that had special meaning to the person. Permission is always sought from the tree spirit when using its wood to make a talking stick or prayer stick.